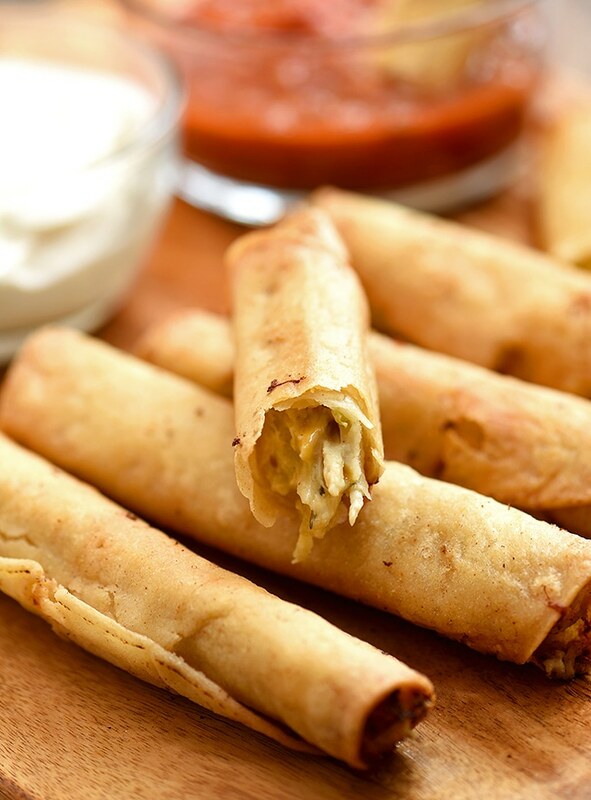 Cream Cheese Chicken Taquitos loaded with creamy and flavorful salsa verde chicken. 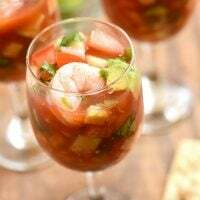 Tasty and crunchy, they’re a fantastic snack, appetizer, or Mexican-inspired meal. G and I tend to graze on finger foods throughout the day more than proper sit-down dinner meal so I like to stock up on items I can quickly make when cravings hit. 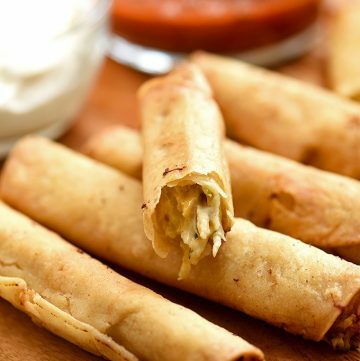 These cream cheese chicken taquitos are one of our favorite things to keep handy. 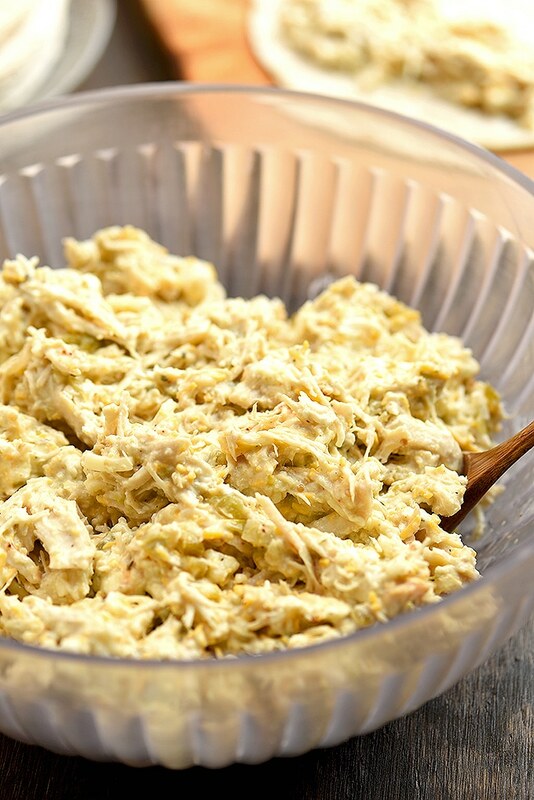 Stuffed with a mixture of tasty shredded chicken, salsa verde, cream cheese, and shredded cheese and then fried to crisp, golden perfection, they’re a guaranteed crowd pleaser! 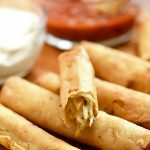 Chicken taquitos are rolled up corn tortillas with chicken filling. They are either baked or fried until the inside is heated through and the outside is golden and crunchy. 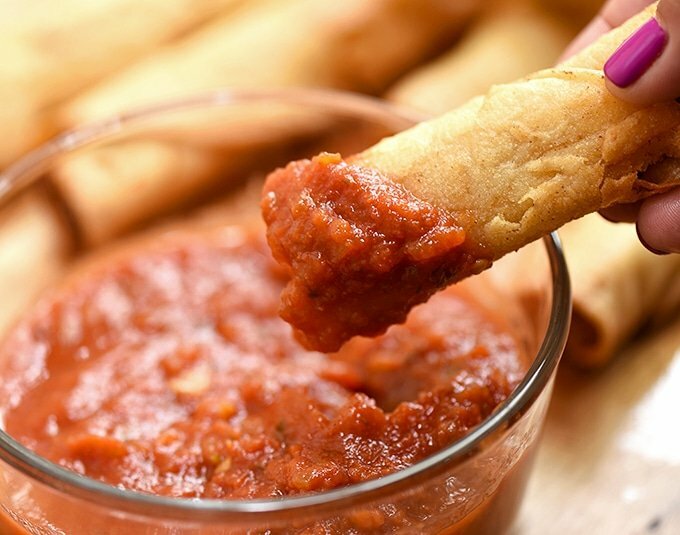 Taquitos are usually served with a choice of dipping sauces such as salsa, sour cream or guacamole and commonly enjoyed as an appetizer, snack or as part of Mexican-themed meal. 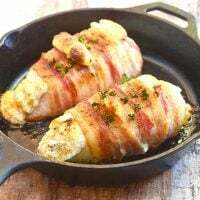 In small, heavy-bottomed pot, arrange chicken breasts in a single layer. Add one quartered onion, a couple of smashed garlic cloves, bay leaf, about one tablespoon salt, 1/2 teaspoon peppercorns, and enough water to cover. Over medium heat, bring to a boil, skimming scum that floats on top. Once the water has come to a boil, lower heat, cover, and cook in a barely a simmer for about 10 to 15 minutes or until thermometer inserted in the thickest part of chicken reads 165 F.
Using a slotted spoon, remove chicken from the pot and reserve the broth for soups. Allow the chicken to cool to touch and then coarsely shred. 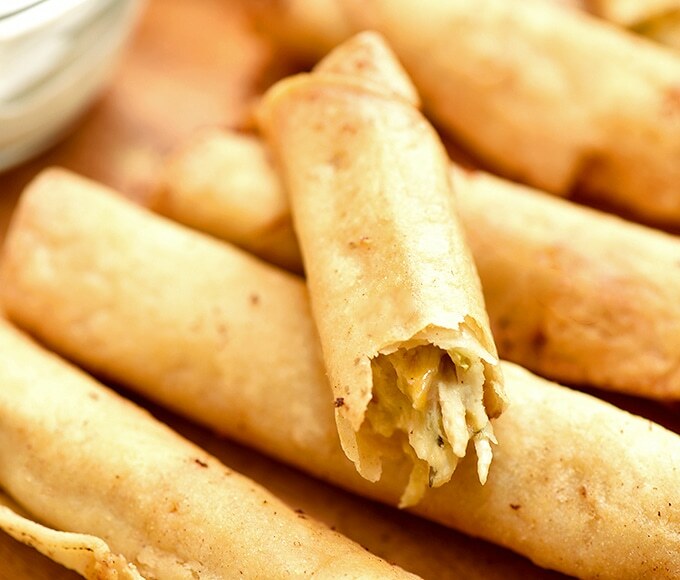 Spend a few hours on a weekend to make a huge batch of these homemade taquitos and thank me later. 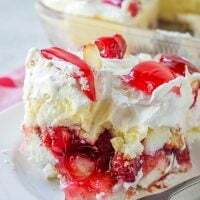 🙂 The recipe can be easily doubled (or tripled) and will keep in the freezer for up to three months. They’re perfect for busy weeknights or when guests unexpectedly drop by to visit. 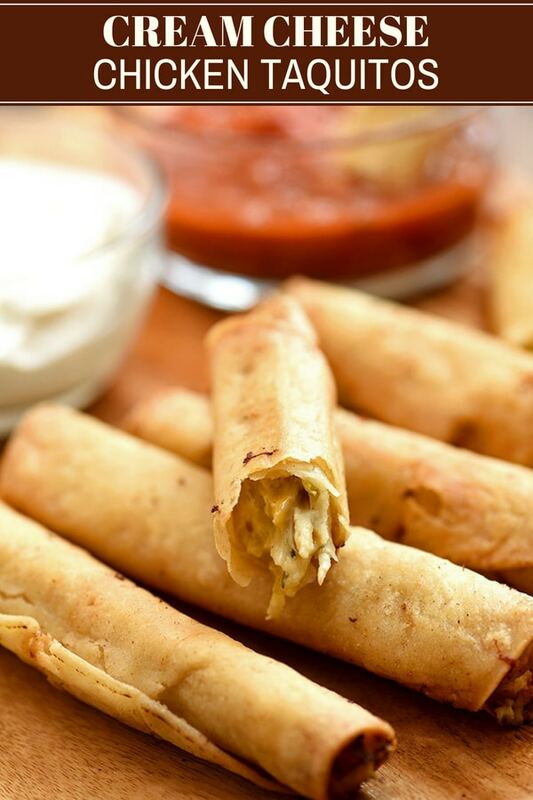 You can fry or bake the frozen taquitos straight from the freezer, so they’re always ready when you are. Or better yet, freeze them after they’re fried or baked and they’ll take only a minute or so to warm up in the microwave. To keep the corn tortillas from tearing, warm for about 10 to 20 seconds in a hot skillet over medium heat or in the microwave, covered with a damp cloth, for about 20 to 30 seconds until soft and pliable. Keep in a tortilla warmer or cover with a cloth to prevent from drying out. Whip up the cream cheese just until fluffy so it will be easier to stir with the rest of the ingredients. Do not overfill the tortillas so they’ll roll up nice and tight and won’t burst during frying. Secure them with toothpicks and place in the hot oil with seam side down. 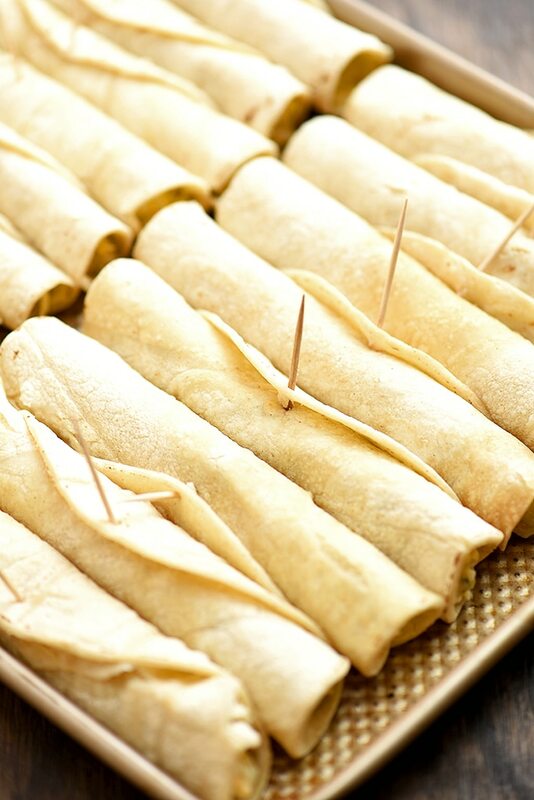 Line the rolled tacos in a single layer on a baking sheet, leaving a little space in between so they don’t stick together. Freeze for about 10 to 15 minutes or until firm before transferring to resealable bags or airtight containers. This way they’ll freeze individually, and you can take out what you need without having to thaw out the whole bag. Use enough and the right kind of oil such as canola or safflower when deep-frying. Fry at the optimal temperature of 350 to 375 degrees to ensure a crisp texture. 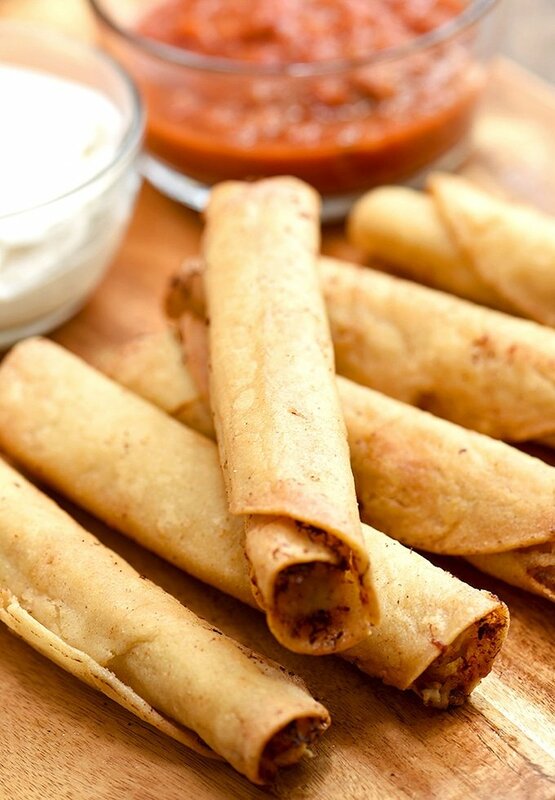 Too low temperature, the taquitos will absorb a lot more grease and too high, the tortilla will burn. Fry in batches as needed and make sure to bring back the temperature to 350 F before frying the next round. Drain on wire rack and not on paper towels as the escaping steam will make them soggy. 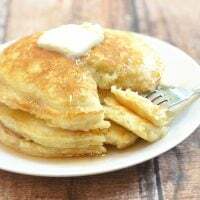 You won’t get the BEST texture and color from baking as you would from deep-frying but not having to hassle with splattering hot oil and the extra fat are good trade-offs. 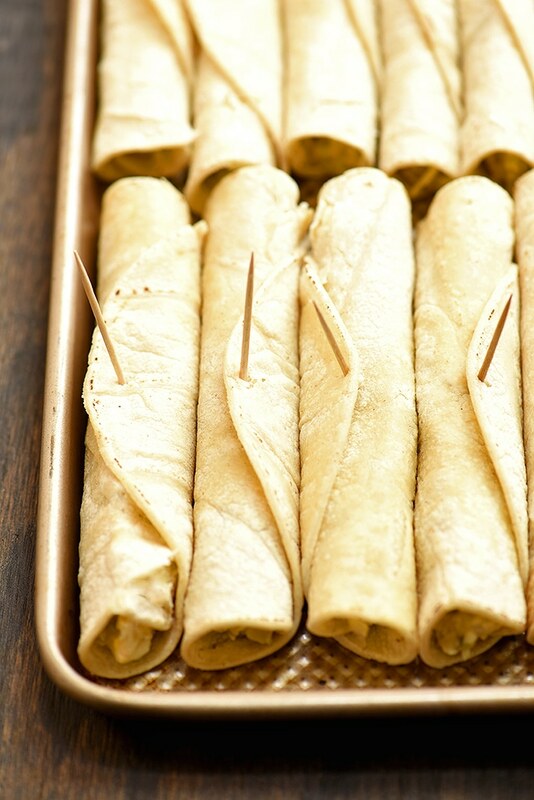 Arrange the taquitos, seam side down, in a single layer on a rimmed baking sheet. Brush with olive oil or spray with nonstick cooking spray to help with browning. Bake in a 400 F oven for about 15 to 20 minutes or until crispy. If you’re serving as an appetizer or snack, try salsa or this chunky guacamole dip. To make into a hearty meal, Spanish rice and charro beans are great sides! Not in the mood for chicken? This beef version is just as scrumptious. Enjoy! 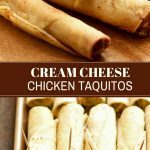 Cream Cheese Chicken Taquitos loaded with creamy and flavorful salsa verde chicken. Tasty and crunchy, they're a fantastic snack, appetizer, or Mexican-inspired meal. In small, heavy-bottomed pot, arrange chicken breasts in a single layer. Add quartered onion,, garlic cloves, bay leaf, salt, peppercorns, and enough water to cover. In a large bowl, beat the cream cheese until fluffy. Add the shredded chicken, salsa verde, and shredded cheese. Stir until well-distributed. In a skillet over medium heat, add corn tortilla and heat for about 20 to 30 seconds, turning as needed, until soft and pliable. Or cover the tortillas with damp cloth and warm in the microwave for about 30 seconds or until pliable. Place tortilla on a flat surface and spoon about 1 to 1 1/2 tablespoons of chicken mixture on one end of the tortilla. Starting from the end with filling, roll the corn tortilla around the filling into a tight log. Secure seam with toothpicks. Repeat with remaining corn tortillas and chicken mixture. In a wide heavy-bottomed skillet over medium heat, heat about 2-inches deep of oil to 350 F.
Add the prepared taquitos in batches with seam side down and in a single layer. Fry, turning as needed, for about 6 to 8 minutes or until golden and crispy. Remove from pan and drain on wire rack. Serve immediately. Nutritional info calculated at 2 taquitos per serving.